Rhizome published an interview last week, initiated and compiled by Lisa Baldini (US), featuring Andrew Gryf Paterson, Ulla Taipale, and Signe Pucena, initiators and co-organisers of Herbologies/Foraging Networks project in 2010. Lisa, curator and writer based in New York, joined the Sadonkorjuujuhla (harvest festival) in Pispala-Tampere last autumn to catch the project's summary presentations, and decided to make interview-article for Rhizome, a platform dedicated to the creation, presentation, preservation, and critique of emerging artistic practices that engage technology. At the beginning of this year the conversation continued, with a series of questions that produced reflections emerging on cultural heritage and knowledge sharing, plants and politics, being immigrant and digital native, inspirations and networks. 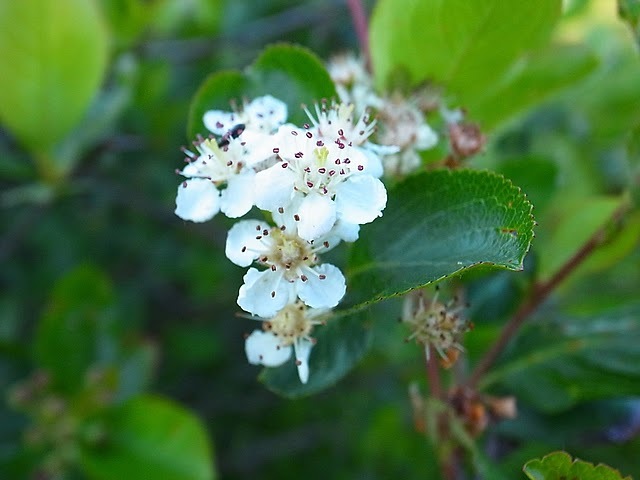 photo credit of Aronia blossom: Bartaku.